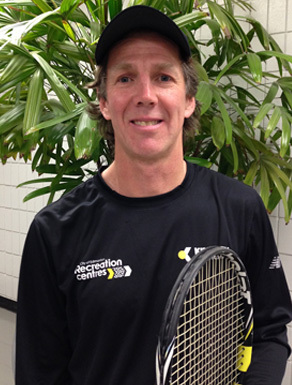 Peter Skoda and Chris Crowley have partnered with the City of Edmonton to provide tennis lessons at Kinsmen Sports Centre. For more information and to book a lesson with Chris or Peter, please contact them directly. Chris played Junior tennis in Northern Ontario, reaching #1 both at Under14 and Under18 levels. Following this, Chris received a tennis scholarship to the U.S. (Michigan). Chris did a little bit of coaching during these early years, but the focus was mostly on the playing. In 1992, Chris was Track MVP at McGill University, where the next year he completed his graduate work in Theoretical Computer Science. 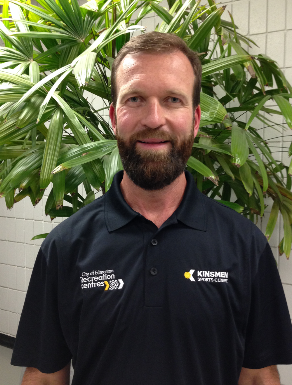 A revelation occurred in 2013, where Chris realized his calling was to coach tennis. It is a perfect combination of tennis, teaching, thinking, creating and the enjoyment of people, easy to see in retrospect but hidden for so many years. He has been full-on all-in coaching since. Chris simultaneously brings an intensity and lightness to his coaching. This comes from the realization that nothing is to be taken too seriously, while at the same time, greatness requires an absolute seriousness. Peter Skoda has an extensive list of accomplishments as a tennis player and coach, including being a top Open Men’s player in Alberta and leading a group of coaches at a Tennis Academy in India for 8 months. Peter has 18 years of teaching experience. He was an associate tennis professional at the Royal Glenora Club for over 12 years, teaching children starting at the age of four years up to adults in group programs and privately. Having decided to switch up his career and pursue real estate, his love for coaching tennis has drawn him back to coaching the sport he is so passionate about.